A collection of Styles designed to fit any lifestyle. 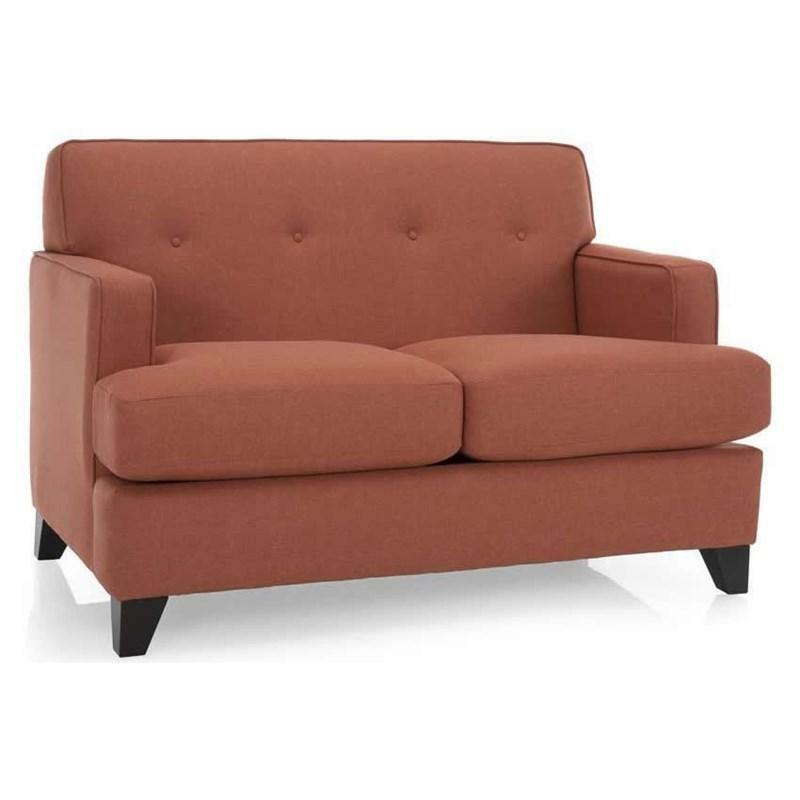 Add style and comfort to your living space with this loveseat by Decor-Rest that features track arms, one complete button tufted cushion back, two accent pillows in a contrasting fabric with T-seat cushions and tapered feet in an espresso finish. Volume 35 cu. ft. / 0.99 cu. m.
*While we place great care into preparing product descriptions and prices, sometimes technical and typographical errors or omissions may occur. Modern Living London cannot be held responsible for such errors and we apologize for any inconvenience this may cause. Sometimes getting just the right look requires a little assistance. Whether it’s sketching out a new floor plan, picking paint colors, selecting the right accents, or a complete makeover, we can help. Just ask. It is our desire that this website be as interactive as possible. We will be posting articles, blogs and photos that speak to design, we hope you find them helpful. Are you the kind of person that loves to save money when shopping? I strongly suggest that you register to receive our newsletter as we will be offering lots of exclusive savings to our registered users at least quarterly via email. Don't forget to follow us via our social media links listed below for more info and updates. If you're not entirely happy, you can call the owner directly! Modern Living London offers a wide variety of Furniture, Mattresses & Home Décor. We have thousands of products to choose from, whether you are looking for living room, dining room, bedroom furniture, mattresses, area rugs, lamps or fireplaces. We are proud to carry many of the top named North American brands such as: EQ3, Decor-Rest, Jaymar, Nuevo, Amisco, Natuzzi, GUS, Alf Italia, just to name a few. Come visit Modern Living London at 600 Wharncliffe Road South, London, ON N6J 2N4. At BrandSource, we carry the quality brands you know and trust. Shop your favourite brands and choose the products that will make your house a home and complement your style. I agree to receive the Modern Living London newsletter containing news, updates and promotional offers. © Modern Living London 2019 | All rights reserved.